Nûby’s Baby Tooth & Gum Cleaner is formulated to be All Natural with the fun flavor of Vanilla Milk. 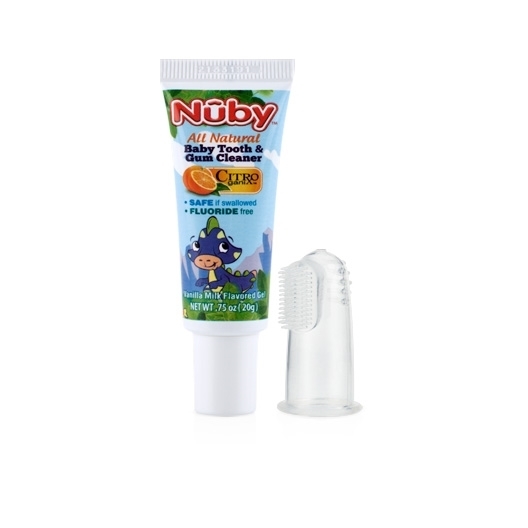 Safe if swallowed, Nûby’s Baby Tooth & Gum Cleaner is All Natural, Fluoride Free, and Non-Toxic. When using Nûby’s All Natural Baby Tooth and Gum Cleaner, you can be confident that your child is not being exposed to harmful chemicals. 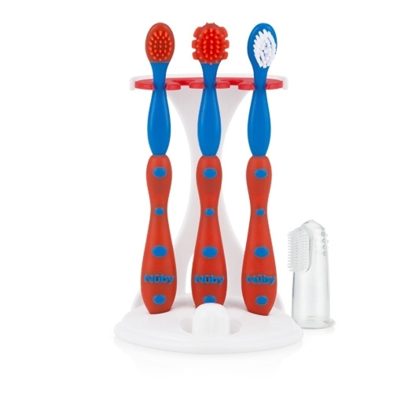 The New Oral Massager from Nûby™ is specially designed to instill positive and important dental hygiene for your baby from the beginning. 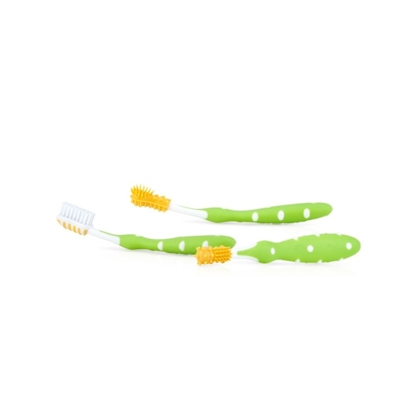 Nûby's Gum Massager is made of extra soft silicone with your baby's comfort in mind.